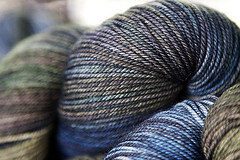 We are not on ravelry. 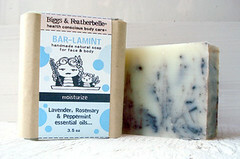 We make all natural body care products free from synthetic fragrances, dyes and additives. They are purposeful, fun and full of quality ingredients. Our line of body care products include soaps, lip balm, bath soak, belly balm, body butter bars, body scrubs, gift sets and a lot more in the works! A Martha Stewart magazine article inspired us to make 'melt and pour' glycerin soaps as Christmas presents. With backgrounds in the Fine Arts and Fashion, we both had fun creating unique recipes, packaging and clever names for each item. The gifts were a big hit. Our family has always been proponents of alternative healing practices and consumers of natural beauty products. So, it seemed fitting to continue exploring the benefits of botanicals. The innocent investigation soon turned to obsession. We quit our day jobs and devoted every hour to research and invention, striving to create the products we couldn't find on the shelves. 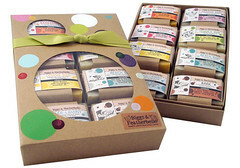 Everyone in the local fiber community appreciates everything handmade including handmade body care products! They really understand the importance of quality and the handmade aspect. Our business is our life! It is all about soap...we never really leave it. Our business has taught us about how to create balance in life. Also we have much more of a appreciation for a well handmade product. We understand what a labor of love is now. It is wonderful how our business has connected us with so many talented indie rafters and the natural products community. Learn as you go and don't dwell on the little mistakes. Take advice from the right people and don't let other people's opinions affect you too much. We have had so many funny stories and experiences over the seven years. I sometimes wish we wrote them all down. Something that always sticks out in our mind is our first version of packaging, which was about 5 versions ago (nothing is ever final). I believe we were taking handmade a little too literally and realized that we couldn’t make every detail perfect! We used to cut out circle sponges to stamp a large sheet of paper, then cut it into squares, then the part that always make us laugh is that our mom would sew the paper on her sewing machine together to make a bag for the soap. Mom really felt like she was working in a sweatshop hunched over her sewing machine for hours at a time, which is why our packaging eventually evolved into what it is today. Although we still do everything ourselves and probably create more work for ourselves than necessary…we have fun doing it. 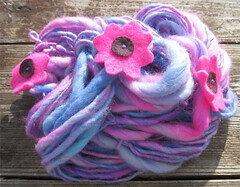 I hand paint various types of wool yarn and fiber, some from my sheep. I make fused glass buttons and brooches and hand card fun fibers into spinning batts. 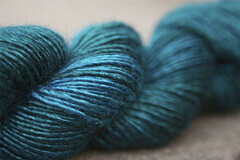 I got into this business by raising the sheep first, then having all their wool for dyeing and spinning. 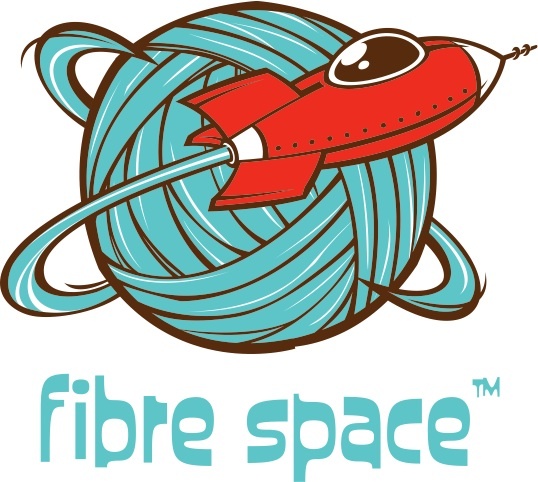 My favorite thing about the fiber community is their inspiration and comraderie. I'm all about the color and color weaves its way into all facets of my life, from painting the fiber to painting my wall, to planting my flower garden. When folks visit me during our studio tours, I get told many times that this is what they would like to be doing with their life. I tell them to make the leap if possible or to just put aside some time every week to do their craft. 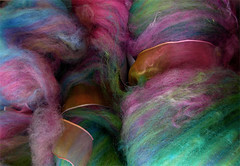 We hand-dye yarn and spinning fiber! We've always loved making things of all sorts, but The Sanguine Gryphon has been around for about four years now. Doing this gives us the freedom to live the way we'd always wanted to- to spend our time being geeky and making things. We name our yarns after the things that we love- bugs, languages, books, poetry- and we never have to worry about wearing a suit unless it makes us feel good. Neither of us could imagine living any other way. 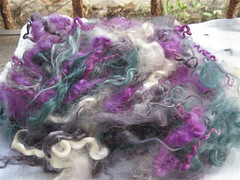 I craft handspun yarn, mainly art yarn, art batts and fiber blends for the handspinner from sheep and goats I raise here on my family farm. 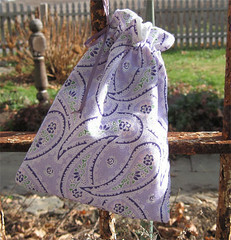 I also craft stash and project bags from vintage and new fabric. I have always been a crafty gal making Barbie clothes for my Barbies and paint by numbers but it wasn't until I moved to PA 11 years ago that I discovered handspinning when we got several angora goats. I live and breathe fiber from the time I wake up in the morning and go out and feed the girls to my in home studio that has somehow overtaken not one but two rooms in my house...The colors and sights and sounds of our farm inspire the colors and ideas for my work. I believe that being a shepherd and being able to on a daily basis interact with my animals and then be able to produce something wonderful and special from the fiber that my animals produce is awesome. A fabulous life! We're excited about our charity component this year! We're planning a baby blanket joining party! 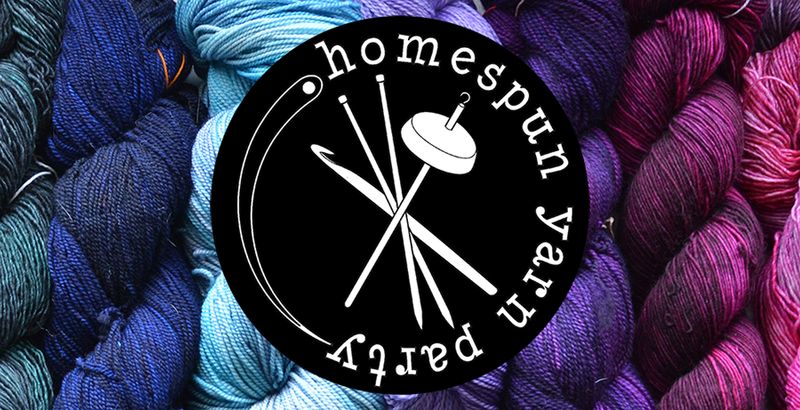 Knitters & Crocheters Care will once again be our charity partner for this year's Homespun Yarn Party. Prizes: We'll be giving one ticket for squares/blankets/other baby items donated (one ticket total) and one ticket to anyone who sits down and helps us join squares during the yarn party. Two chances to win something! 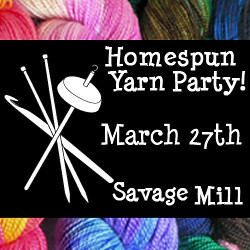 Prizes to be announced, but we plan on finding some great indie yarn and other fun items! 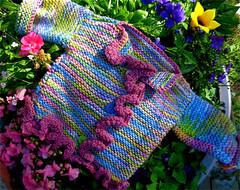 Knitters & Crocheters Care is a charitable organization started by Claire Wudowsky and Michelle Strange. 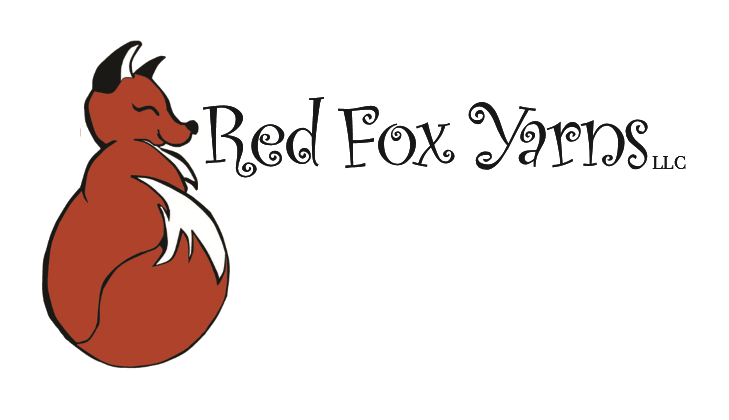 It is our intention to act as a clearinghouse for everything from yarn to finished items and to bring together DC, VA and MD crafters and charities. We currently have four charity events scheduled each month and we would love to add more. 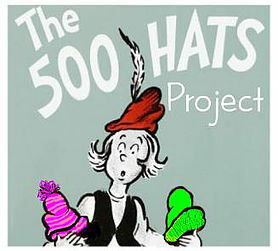 If you would like to start one - we will help by providing supplies and by promoting your event on our blog and on Ravelry. 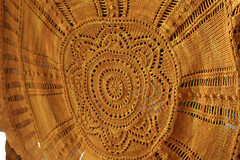 ClaireLeah on Ravelry, Facebook and Twitter. Want to be notified next time we're seeking vendors? Are you interested in becoming a vendor next year? 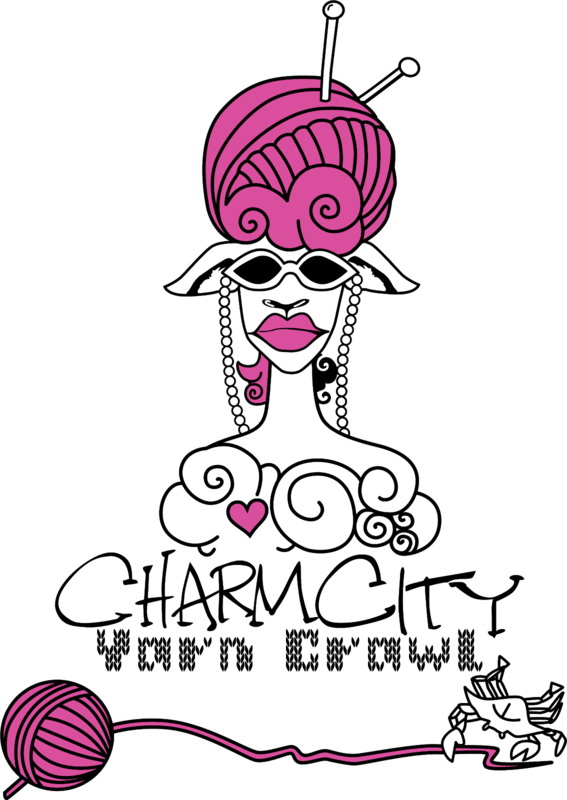 Please sign up for our vendor email list, and we'll notify you when we have applications out again, or if we find out about other relevant events! 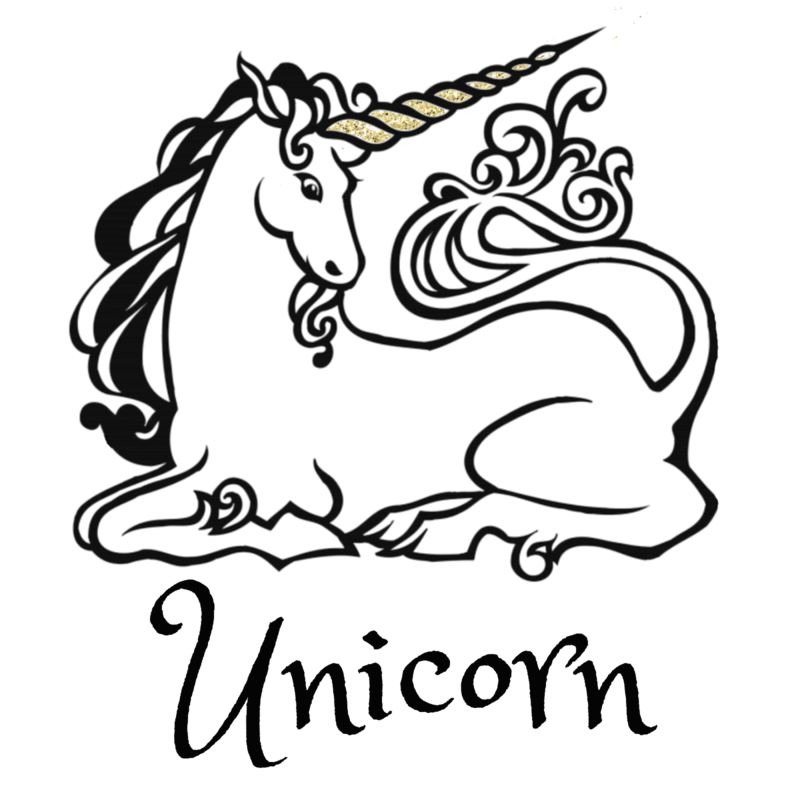 join our vendor mailing list to be notified when applications come out again! Less than 6 weeks away! We're notifying applicants of the jury process results tonight and the new vendor list will be posted in a few days once everyone has confirmed their participation. We had a great group of artists this year and will be welcoming some new faces in addition to old favorites. 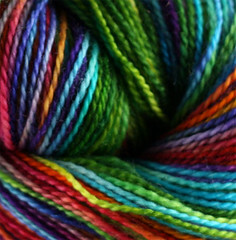 Please help us spread the news about the Yarn Party to your local craft guild, SnB, shops, and fellow fiber artists! People interested in volunteering should visit our Ravelry group for more information on how they can help out - volunteer emails will go out this week. We will have our usual charity effort for Knitters and Crocheters Care, this year with dedicated prizes - more info on that is coming soon! Can you tell we're starting to get really excited? Help us spread the word about the yarn party by downloading one of these images and using it as your ravatar or as a button on your blog! Mark your calendars for Sunday March 27th! We'll be posting the list of vendors in another week or so.